Welcome to this week’s free crochet pattern feature! These patterns are not created by me, but by other very skilled and creative crochet artists who offer some of their hard work for free use! 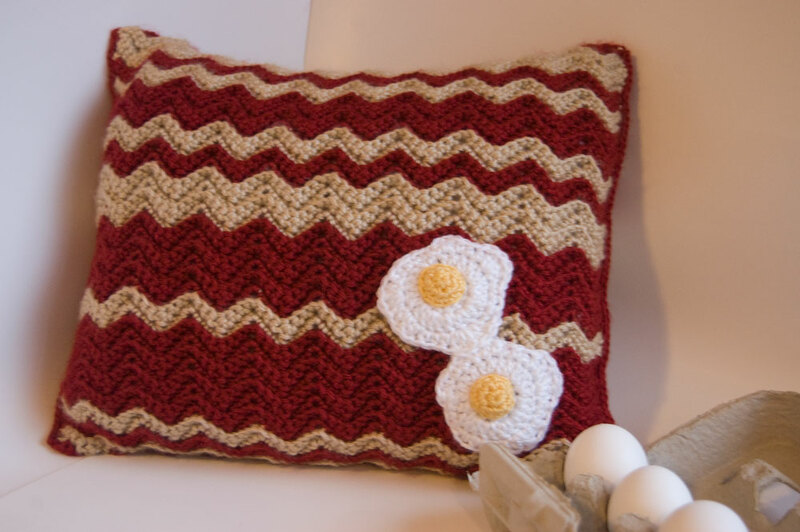 This brilliant pattern can easily be customized to create your very own, unique bacon texture (adjusting the rows of ‘fat’ and ‘meat’) and would be a delight to cuddle up with! Another Friday, another free crochet pattern! These patterns are not created by me, but by other very skilled and creative crochet artists who offer some of their hard work for free use! Perfect for Easter decorations, small gifts or to hide along with a few chocolate treats for your egg hunt. These adorably funny guys are sure to make people smile.